There’s so much going on – A News Bulletin! THERE ARE SO MANY UPDATES that having not posted about them as they turned up, I am now swamped with news. Soooo here it goes! It’s news bulletin time! My first short story will be published in the 17th edition of Grimdark Magazine later this year! This is super exciting for me as I’ve never been a short story writer, the story arcs in my mind tending to be on the… long side. For many years I just assumed my brain was wired for novels and trilogies and epic series, but when I saw the open call for stories at a magazine I respected and enjoyed reading, well… it was time to give it a try. So look out for my story, A Risk of Malice, in the upcoming edition, which you can be sure I will shout about a lot more closer to the date. Speaking of We Ride the Storm, it has been entered in the vaguely annual SPFBO competition (Self Published Fantasy Blog-Off) run by the all sorts of awesome Mark Lawrence. 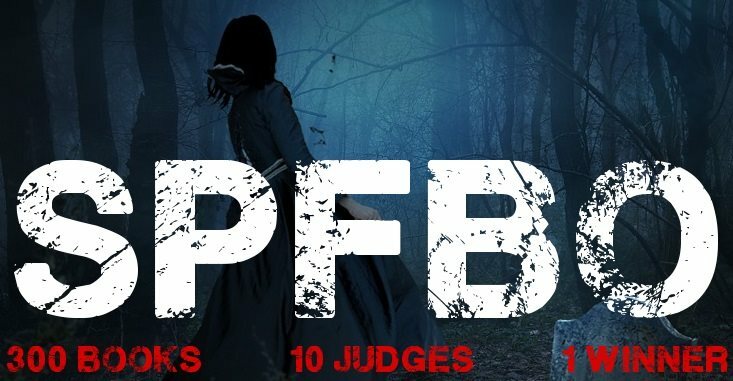 For those who don’t know what that is, you can check out the introduction post HERE, and for those who want the TL;DR version – 300 self published fantasy books, split between 10 bloggers, each choosing a finalist to be scored by all of them to pick an ultimate winner. It’s in its fourth year and has been a roaring success so far, and this year is looking no different. I ran a competition for the super duper subscribers to the Madson Quarterly (otherwise known, quite boringly, as my newsletter). The prize was a signed copy of We Ride the Storm sent anywhere in the world, and all they had to do was email me a suggested name for Dishiva e’Jaroven’s horse. She is a Levanti warrior and to them their horses are everything, so it is as much like asking you to name her best friend. 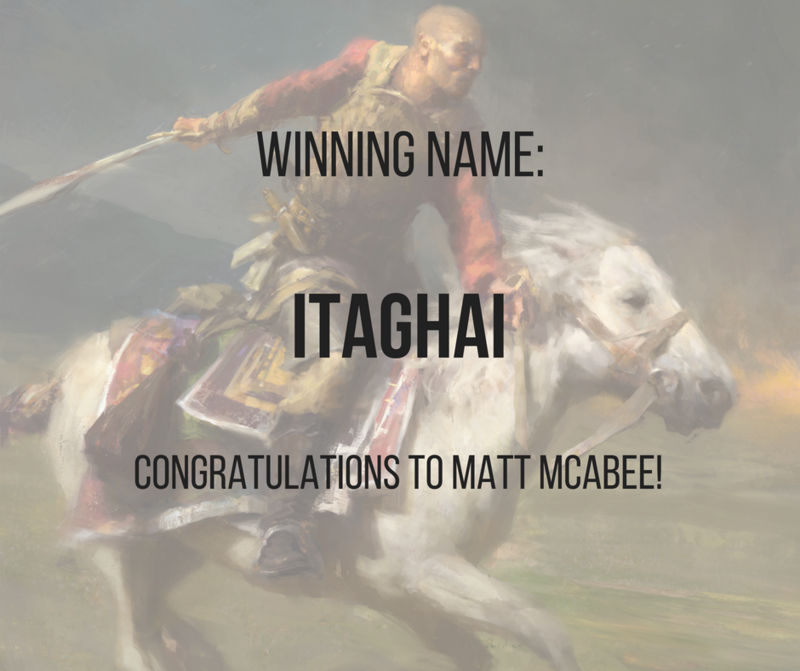 The winner was Matt McAbee with the wonderful name, Itaghai. I really had fun with this competition and look forward to doing more like it as we go along, so keep a look out for that too. And if you’re not a subscriber to the Quarterly, then now is a good time to change that. You can check out all the details HERE. EXCITING THING NUMBER… wait, no, that’s it for the big announcements for now. I’ve probably missed something, but I’m working so hard on line edits at the moment that my brain is as a perforated-metal-kitchen-implement-that-is-required-to-cook-spaghetti for anything else. Ah well, time is a wasting. I must get back to laughing at my own jokes.